Some local kids have been accepted to perform at “the world’s largest music festival” this summer. 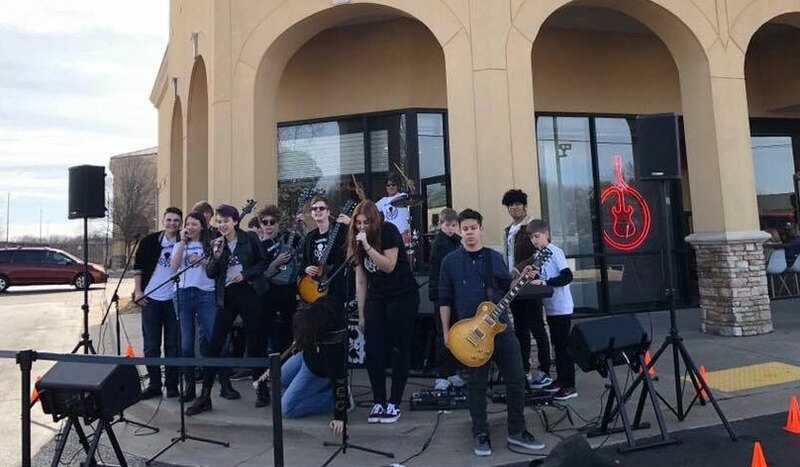 A group will perform at Summer Fest in Milwaukee, Wisconsin this summer, and the kids are raising funds to help cover their expenses for the trip with a special concert event on Saturday, April 20 at 3582 N Highway 112 (formerly ROTC). From the description of a Kickstarter also seeking to raise funds for the trip. We are hoping to offset some of the cost with donations so not just some, but every one of the band members can attend. Our kids work just as hard as any other kids playing sports or competing in academic competitions. They pour their heart and soul into their music and we would love to reward them with this once in a lifetime opportunity. The fundraiser on April 20 will feature a performance by the band, along with a silent auction, snacks, and more. In all, 14 kids are hoping to travel to the festival to perform. The festival will take place from June 26-July 7. For a bit more information, check out the Facebook event. For those who’d like to help out, but won’t be able to make the event, you can also contribute to the online fundraiser here.